Societies and cultures tend to re-model and re-shape themselves, corresponding to changing times and trends. The scientific innovations and inventions have changed the face of the world as we see it. People have always led businesses working in clans, groups or teams, varying in methods and techniques to handle them. The sense of belonging has shaped and modeled the way they work, a common belief and motto has driven them to stick to certain schools of thought and work accordingly. From pre-historic era to the modern day world, things have moved and modified to fit certain, standard benchmarks. The people who lead and direct their work patterns become the decision makers, hence organizations, institutes and businesses tend to hunt, hire and retain employees using a wide variety of techniques. People have always been attracted to equipping themselves in a far superior way, than has been practiced previously. With a technical transformation in every walk of life, people management has also come a long way, upgrading itself to match the needs of the future tech world. The importance of educating and incorporating sophisticated methodologies to transform teams at work, has come a long way. From archaic paper based record keeping, to electronic way and all the way to using artificial intelligence, to performing complex tasks, HR industry is in a constant momentum. Leaders around the world are following the non-stop pace of innovation. 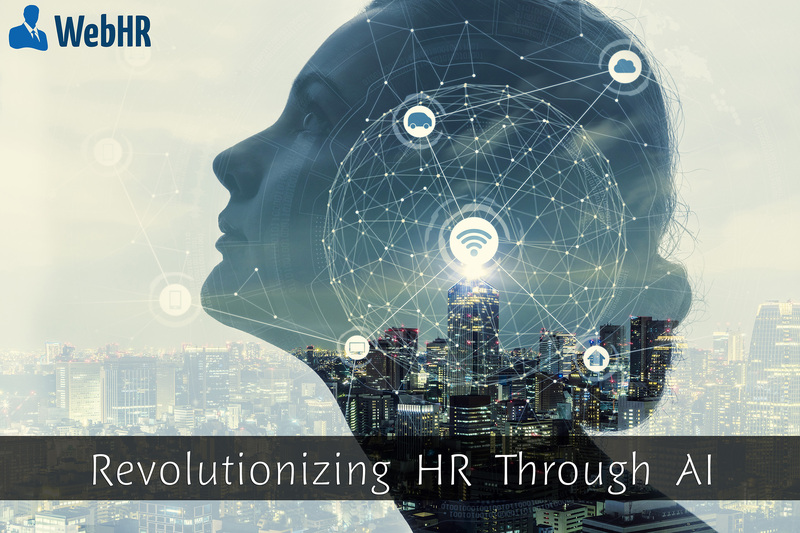 It is now a widely accepted truth, that the need to automate and simplify people management has brought up the need for AI, to be effectively merged with several HR components. The modern age companies have evolved and are ripe to leap forward and allow cognitive computing, to make operations simplified and automated. WebHR‘s AI capabilities came into focus, when no other company was even paying attention towards it. It had designed high-tech tools to simplify and innovate overall employee experience. It has broadened the horizons and has created a thought leadership pattern, incorporating critical intelligent dimensions, helping companies formulate business strategies. According to an IBM survey, 66 percent of the CEOs and Leaders of organization believe that AI and cognitive computing will play an important role in HR transformation. The change is imminent, some companies and leaderships might not realize what they are missing out on, yet. Having said that, many believe that automation and AI tools, not just empower their teams at work but also help them make smarter, more intelligent future tactics that strengthen their core strategies. Even if AI might be valuable to have in place, to help automate workflows, a lot many speculate that it might not fit their allocated budgets for HR. 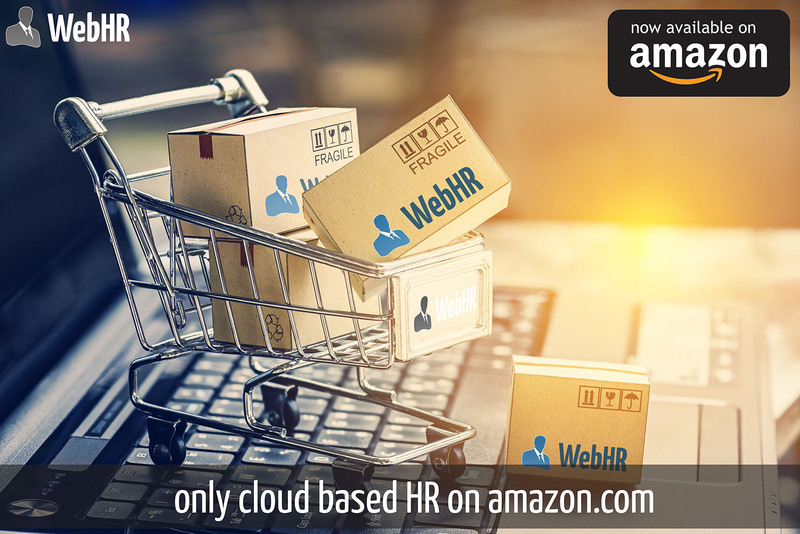 WebHR is the only HR company, that has re-vamped the old and aged methodologies, bringing forth modern tools, that are quick to install and cost effective. 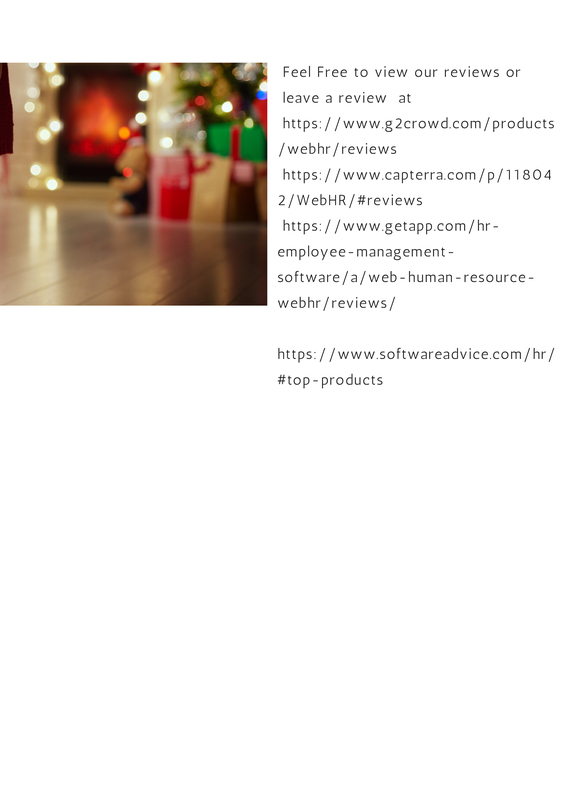 The Global trend and migration to cloud technologies, from large enterprises to small companies has urged WebHR, to bring a novel pricing plan, that fits all criterion and budgets. The Global reach, has allowed the company to extensively research and navigate a vast varieties of cultures and norms, and bring forth a customized tool for them. With an impressive presence in 197 countries, the tech team at WebHR has seen closely, all the pain points, when it comes to HR processes. The delightful surprise, is that, most companies and businesses, no matter what the size, always show interest towards such scientific advancements. There is always an ever present knack and curiosity to know more about it and learn to use it, for their benefits. WebHR is probably the only HR app at Amazon’s Alexa skills marketplace and Microsoft’s physical device called “invoke”, making it a pioneer in hands-free HR assistance. WebHR’s chatbots and AI capabilities make it easier for the user to navigate and perform HR related tasks with ease and efficiency. From on-boarding, to vacation requests, to team training, to hiring process, to obtaining critical business reports, WebHR makes these processes predictable and faster. These automated business intelligence reports, help the management make informed decisions. These reports, present the data in interesting graphical presentation and maps, that show a clear picture of the recent trends at the business during different quarters, annual, bi-annual, monthly, daily or hourly, with just a few clicks. These things keep the management in the loop with all the key decisions taken, at all the levels of hierarchy within the organization. 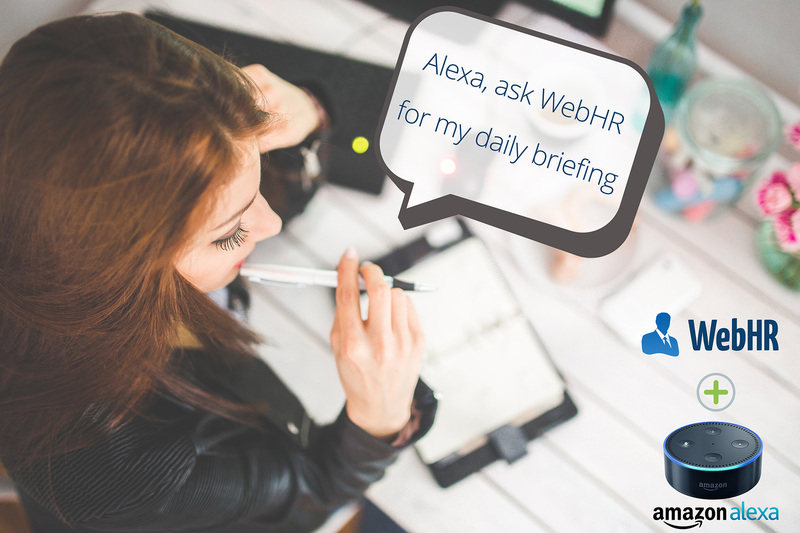 WebHR helps bring AI automation, to low-value repetitive tasks, that take up a lot of valuable time, spent on them. This measure helps bring focus back to, more important, attention worthy business operations, that require a team’s undivided attention. A step or two towards these areas of focus, without worrying about menial tasks, has a greater impact on an organization and contributes to its success, in the longer run. WebHR‘s analytical capabilities make it a go-to portal for an intelligent more comprehensible insight into the business. The data driven results are imperative to help remove, man-made glitches, errors and biases. When the data is accessed through such tools, all humanly errors are eliminated, making it more accurate and time efficient. In a fast paced world, missing out on these things could cause an enterprise a huge set back and result in a substantial loss of valuable capital. The idea of bringing financial gains through optimizing workflows through AI and emphasizing the need to equip people at work, is the mainstay belief of WebHR. 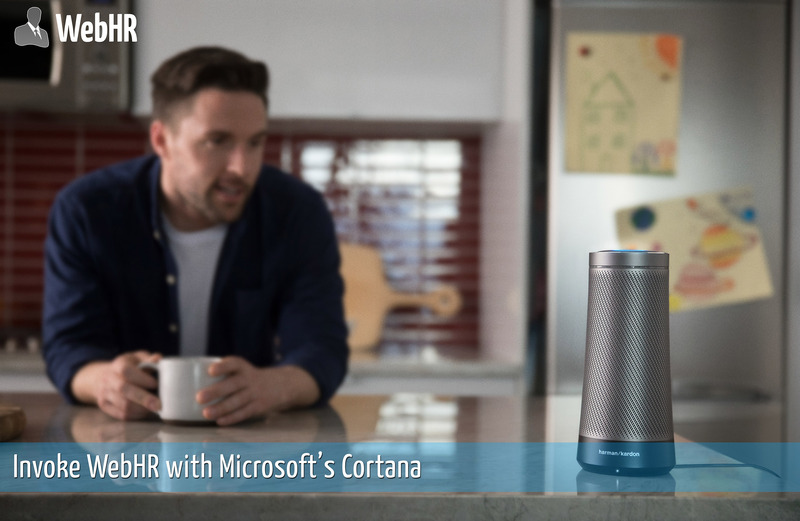 Another Milestone – WebHR & Microsoft’s Cortana Collaborate ! 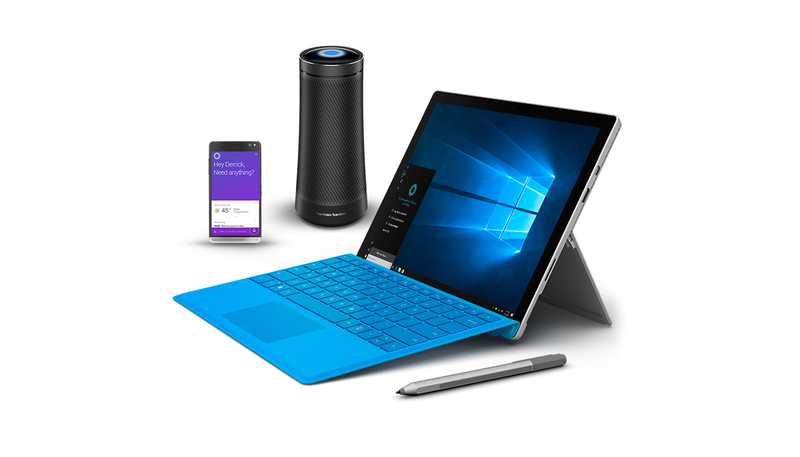 Like the widespread popularity of Amazon’s Echo and its interface with other physical electronics, businesses and apps with its assistant called “Alexa”, this is the year for Microsoft’s “Invoke” to enter into our lives. It has shattered all boundaries and with its highly superior AI ventured into everything we can imagine. With Microsoft’s extensive experience, in the field of AI and mixed reality, there is no doubt that Cortana will take this space to a new heights. 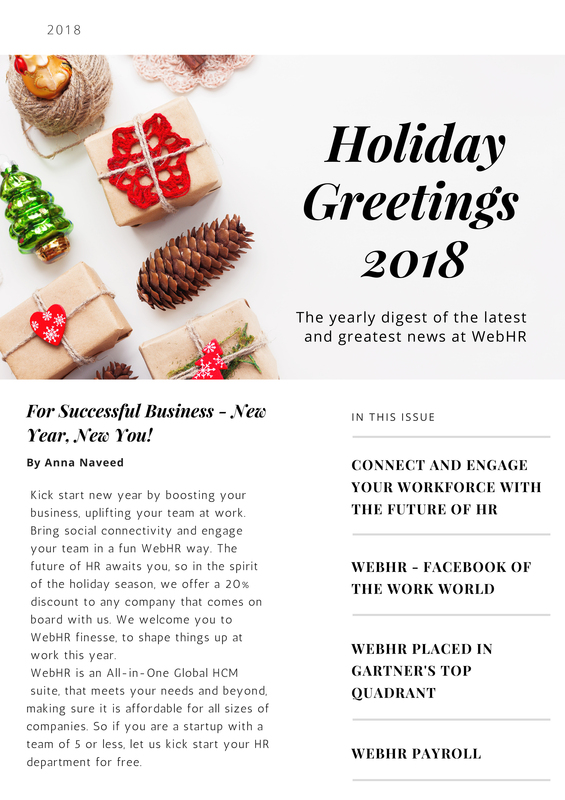 This year has been the most busiest at WebHR, we have announced huge game changing moves in the field of HR and are moving at rocket pace to get them done. 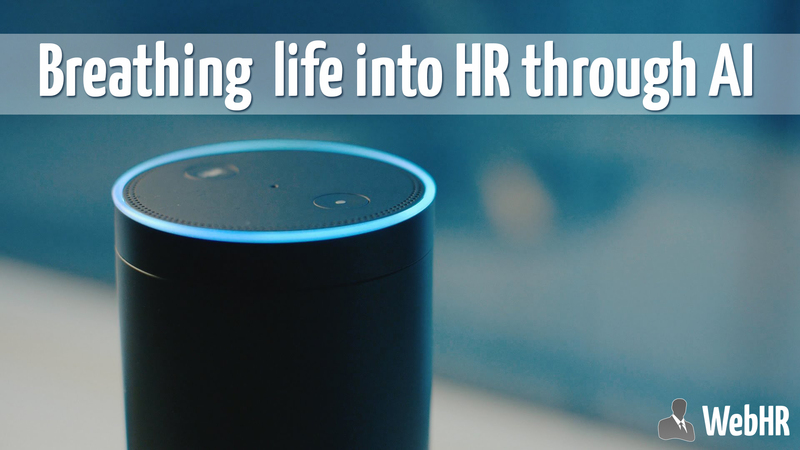 For example, we were a proud and the only HR platform on Amazon Alexa’s skill this year and their Echo devices became “the HR managers” for an innovative workplace environment. Invoke looks the same magnificent cylindrical shape as Amazon Echo but has a metallic Harmon Kardon speaker cabinet. Apart from its physical attributes and classy looks, it is determined to bring ease of automation to a large number of varied fields. That is where WebHR comes in, it shares a common goal and mission with Microsoft to bring AI and automation to workplace, to bring more interactive and connected teams, to challenge the past practices, to break the way offices work and to provide a pedestal of advancements improving the work culture. It shows the capability of WebHR and Cortana to get things moving faster not for just large and innovative corporations but also for small and medium enterprises. Invoke goes beyond being an assistant, it collaborates with WebHR’s advanced integration platform and empowers the future trends of workplace. WebHR had the privilege to be at the Microsoft’s build conference 2017, which was larger than life in every possible way. WebHR was invited to be a part of their launch for their “Cortana powered device called Invoke” as their launch partners and was proud to be displayed as the very first and probably the only business app on their skill sets. This mighty beauty called Invoke can make your offices look like something from the future or more so like the movie “HER” where, you would be able to communicate with the devices and do most of the HR data analysis, this would be your Go-To manager by default. As easy as it looks and feels like a seamless process, WebHR had to go over a multi-layered complex mechanism to attain this capability. ” It is a developer’s delight to work with Microsoft’s team” – something I hear my team saying constantly. They were always praising Microsoft’s prompt responses and unfaltering support at all times. The Cortana skills kit before going live was available to our developers in its infancy and it was an honor to have worked with them so early on for WebHR’s integration with “Invoke”. 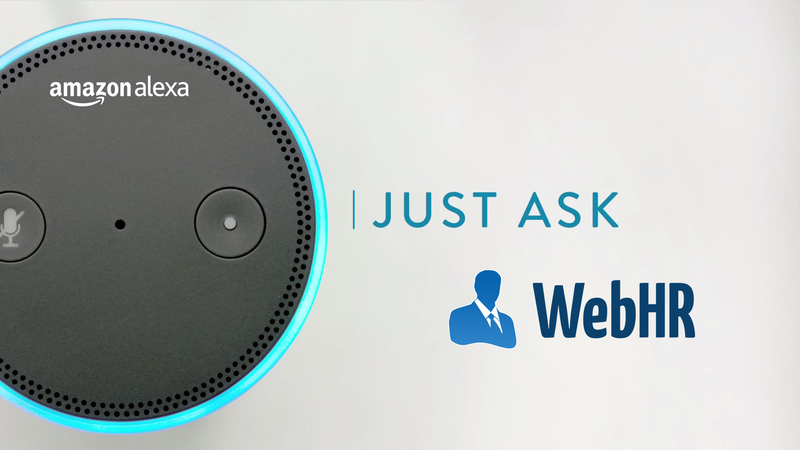 WebHR already had a background with Alexa, so it made the process faster if not easier. Teaching Cortana to do what needs to be automated in HR is imperative, as it will make things not just simpler for a lot of large organizations and companies out there but it would help them analyze critical data quickly without any delays or wait time for the team to come up with reports and analysis.